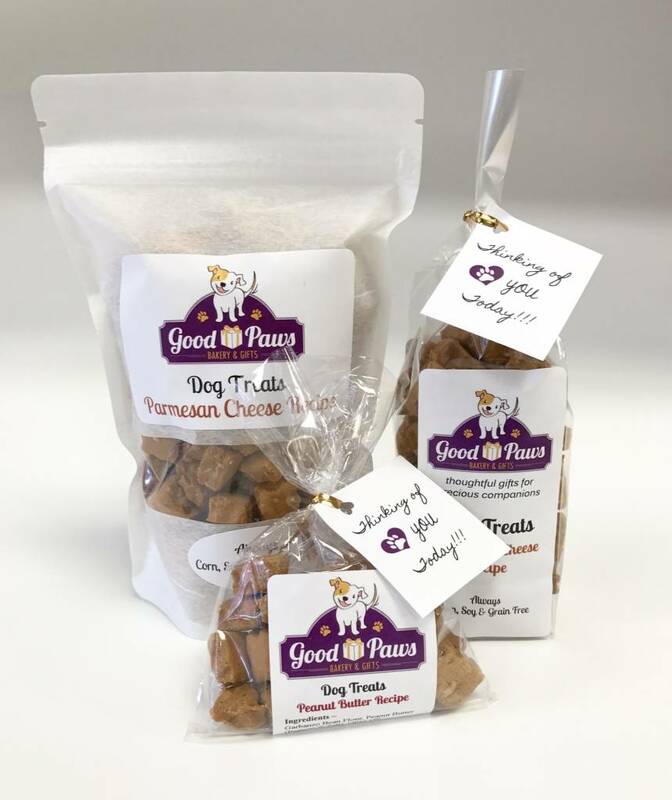 Our Parmesan Cheese treats have only 3 ingredients (all of premium quality): Garbanzo bean flour, Parmesan cheese and extra virgin olive oil – That’s it! 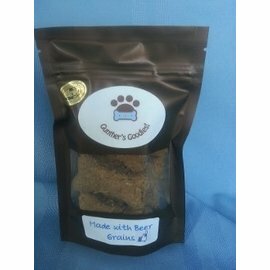 We size our treats just right so the majority of dog breeds and mixes can easily enjoy them. But most importantly, you can feel good about the selection of each ingredient as well as the care that goes into every single batch made. 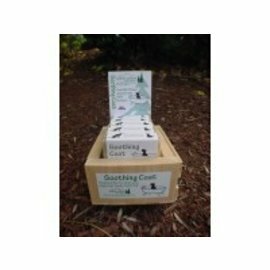 Made by Good Paws Bakery in New Hampshire. 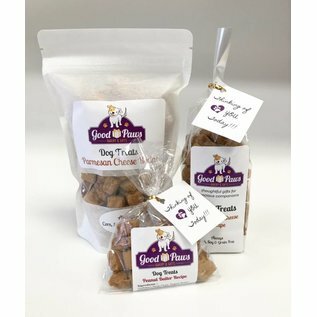 "Good Paws was started to fill a need for making wholesome dog treats easily available for people to find when either physically or experientially away from their animals. 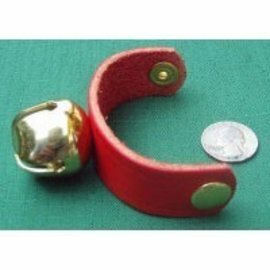 Our goal is to support and strengthen the loving connection between people and their canine friends and family members."